Kathryn makes a successful flight from Detroit to San Francisco and back, but first, a little history. Kathryn had been flying since she was a little kid. On average, she would fly about 2 times per year. Her mother is very afraid of flying and she’s heard her same “bad experience” story over and over. The story occurred when Kathryn was very little. She was also in the plane with her mother, but Kathryn does not remember anything specific about that flight and experience. Kathryn does have a generalized anxiety disorder and claustrophobia. She believes a lot of her fear associated with flying has to do with that claustrophobia and it bothers her that once she is on the plane she just can’t get out if she needs to. There are other triggers that exacerbate her fear, such as turbulence and the length of the flight. She started planning the trip about a year ago, just after her best friend got engaged. Coming up to the flight, she did some research, and came across The Harmonizer™ and The FearlessFlight® Kit. She did a 15-minute consultation with me and decided it was a good idea to purchase The FearlessFlight® Kit. Kathryn started listening to The Harmonizer™ every day leading up to the flight, usually during lunch at work. While listening, she practiced the deep breathing techniques as outlined in The FearlessFlight® Kit. Having created new synaptic pathways in her brain and associated this new and empowering information with her upcoming flight proved to be very helpful. Kathryn was able to recall this information while flying, and it helped her calm herself down when she needed it. 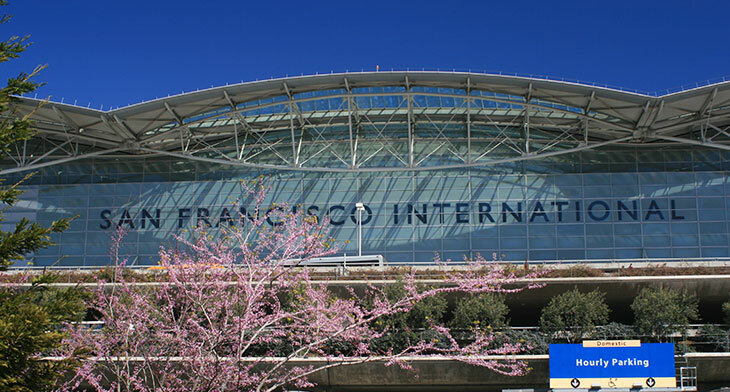 When she was getting to the airport to go to San Francisco from Detroit, she did have some fear in the airport. The fear centered around getting on the airplane and being in there for so long. Kathryn listened to The Harmonizer™ a couple of times at the airport. As mentioned previously, her plane was delayed due to maintenance, which made it a little harder to calm her symptoms down. The effectiveness of The Harmonizer™ is due to it being deliberately designed to create an empowered state of mind. The FearlessFlight® Kit also encourages you to do some specific journaling. Kathryn took that to heart, and wrote down a small list of times when she felt empowered, so that she could refer to these times when she needed, before and during the flight. This helped her to get through the flight to San Francisco. Once her flight landed, she was able to enjoy her vacation and not really think too much about her return flight. It seemed to help that it had been a shorter flight. And take it from my 30+ experience of helping literally thousands of people overcome their fear of flying, the return flight is almost always easier. In part that is because most people are ready to get home and they usually have had a ‘better than expected’ experience on their first flight. Though Kathryn experienced more turbulence on the return flight, she was able to distract herself with The Harmonizer™ and review her notes of empowerment until the turbulence passed. Previously, Kathryn usually tended to veer towards trips that she could potentially drive to and from. While the argument that it is cheaper to do so may be true, it is equally true that this line of thinking provided an “out” from her fear of flying. It allowed her the idea that she could drive if she found that she just couldn’t get on the airplane. 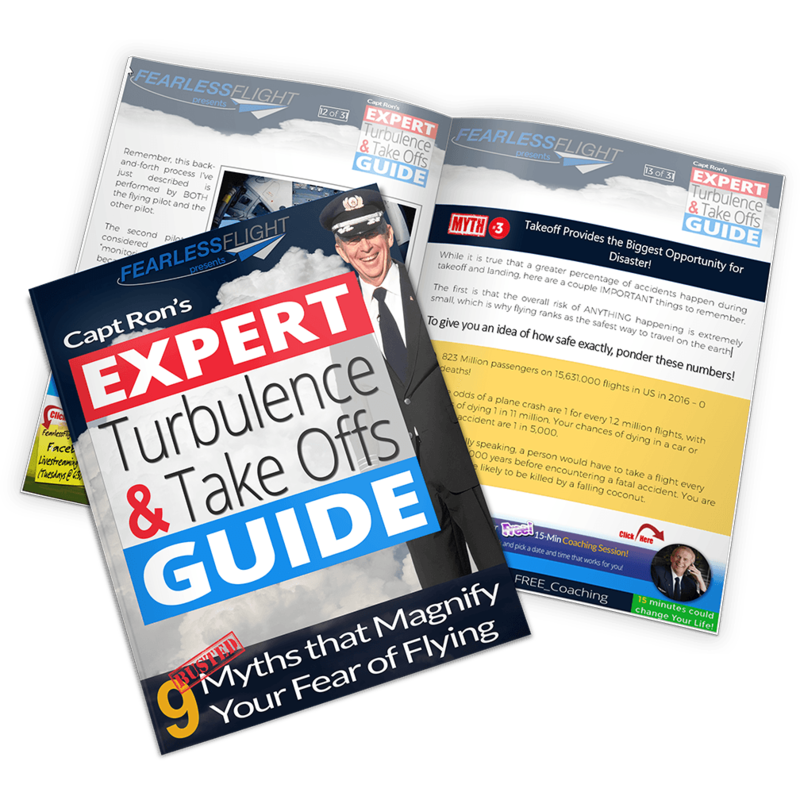 It is my experience that many fearful flyers often have routines like that – which give them a feeling of perceived control in relationship to an out of control feeling when it comes to flying. Kathryn was no different. She also found comfort in flying with certain people. Other people find that they need to sit in a certain seat or won’t get up to go to the bathroom hoping that those things will keep them safe.